Exclusive Italian Astra Table lamp in polished steel and handmade blown Murano glass, with conical lampshade with horizontal stripes, with unique satinized blown Murano glass veil. 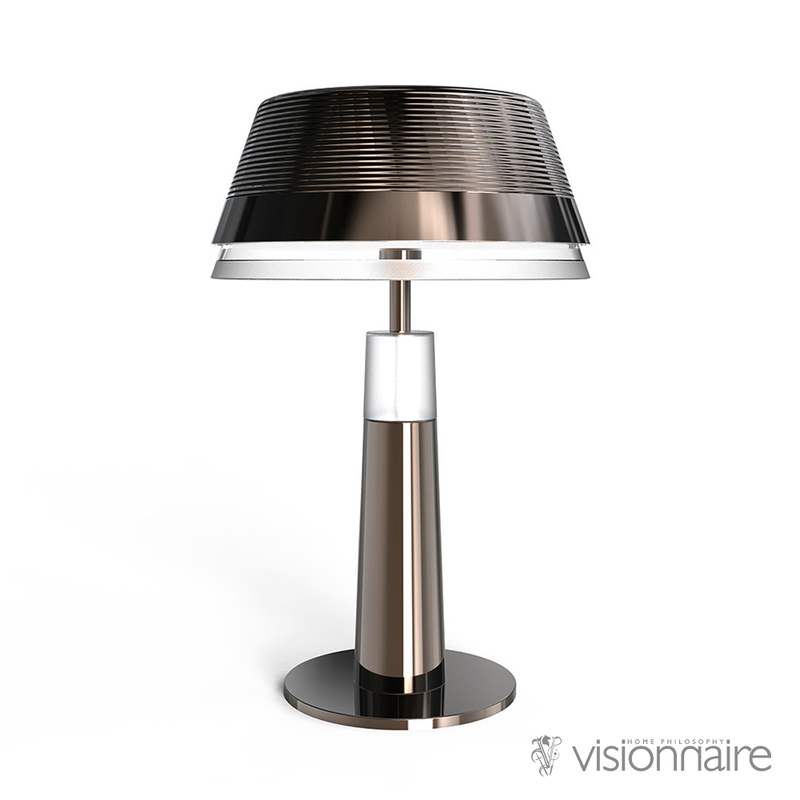 This designer table lamp has a conical stem with blown Murano glass terminal, adding a unique detail. 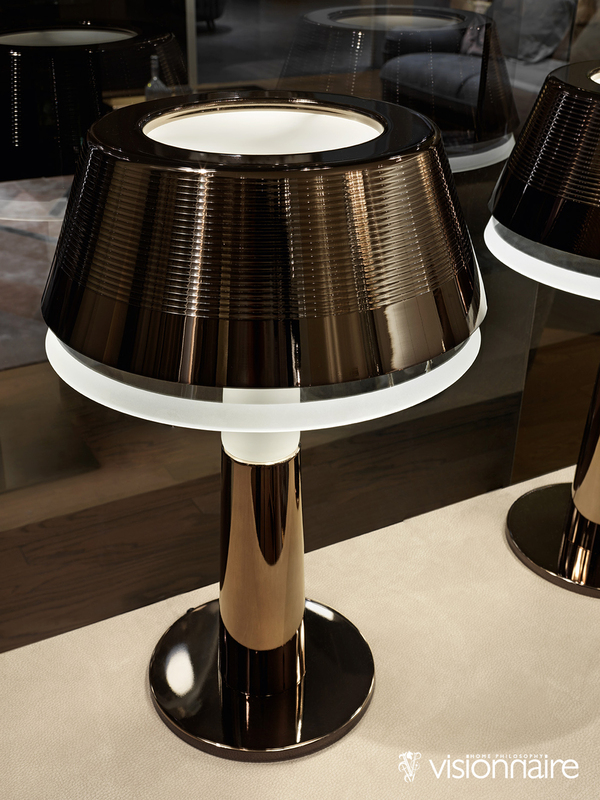 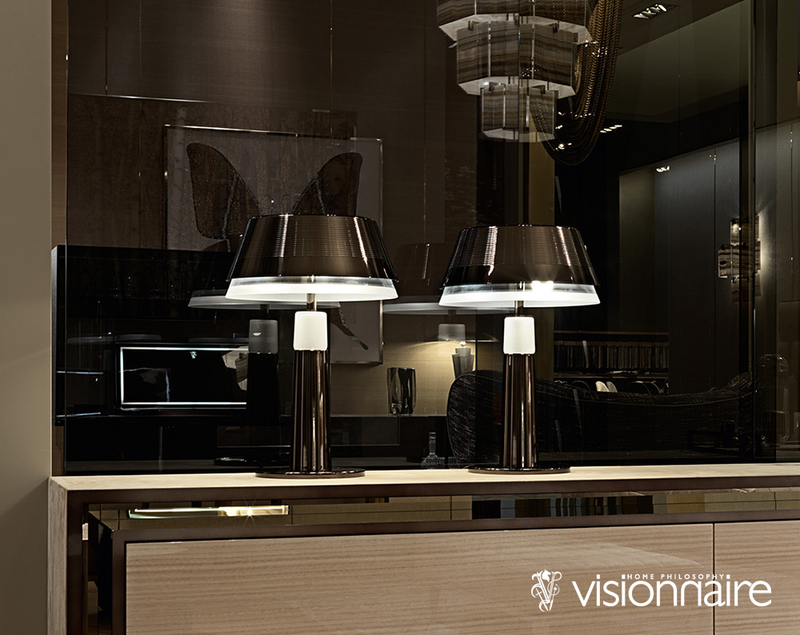 Glamour Italian lighting, ideal for every area of the house, to match sophisticated Italian furniture pieces within Interior Design or Architectural projects. 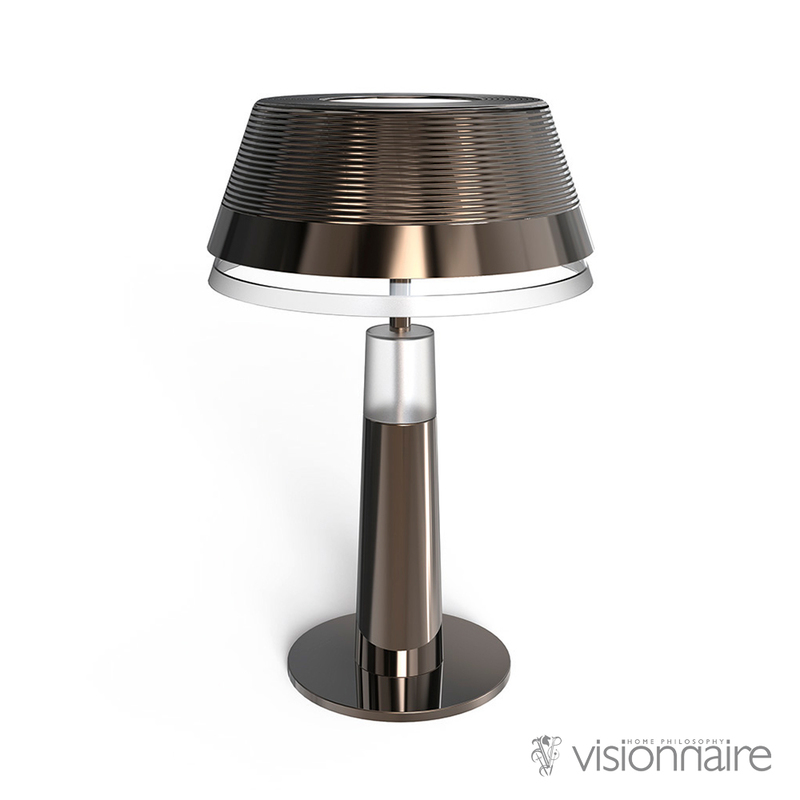 Satin diffuser for three 6W LED E12 light sources.